Summers in Tennessee are really, really hot, and while I don’t mind the high temperatures, I’m always happy for fall to roll around, as it gives me a reason to start making my favorite hearty cool-weather meals again. 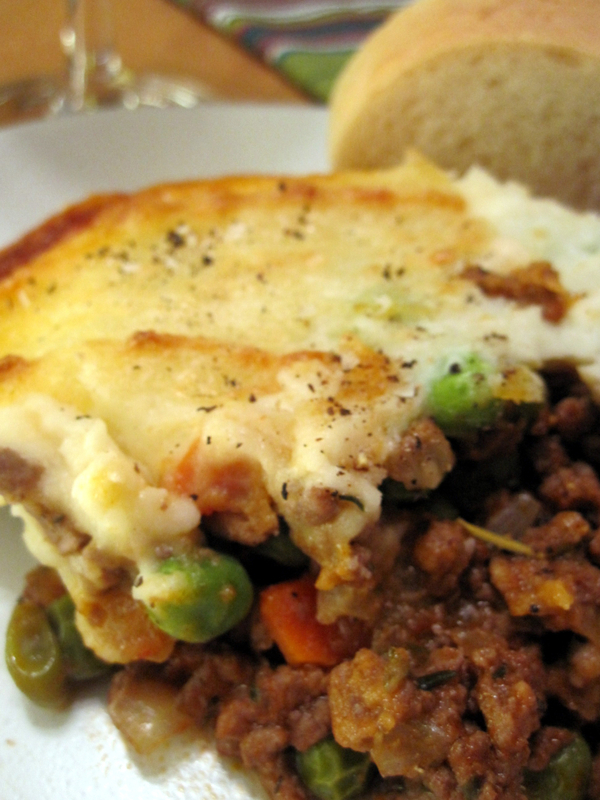 And one of my favorite fall + winter dinners? 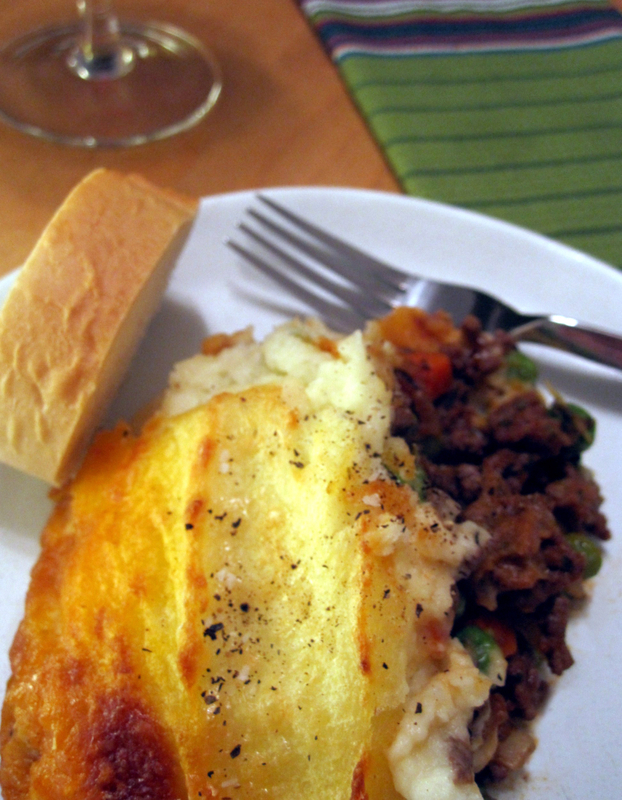 Shepherd’s Pie. With its delicious combination of meat, herbs + vegetables in a tomato/wine sauce, topped with creamy, rich mashed potatoes, it is pure, simple comfort food. However you tweak this recipe to make it perfect for you and your family, I know you are going to love it! Heat the olive oil in a large pan over medium-high heat, then add the onion, + carrots. Saute until the onions are translucent, about 6-8 minutes. Add the meat + cook until browned, 8-10 minutes. Drain any fat + add broth, wine, tomato paste, + herbs. Simmer until the juices thicken, about 10 minutes, then add the peas. Add salt + pepper to taste. Pour the mixture into a 1 1/2 quart baking dish + set aside. Meanwhile, peel + chop the potatoes. Put them in a pot, cover them with cold salted water, + bring to a boil. Cook for about 20 minutes, until fork-tender. Drain. Mash the potatoes with the butter, cream/milk, + salt + pepper to taste. For extra creaminess, use a food mill/potato ricer or beat with an electric mixer. Spread the potatoes over the meat mixture, top with cheddar cheese, + bake until golden, about 30 minutes. If you prefer an extra-browned pie, broil on high for an additional 3 minutes. aww, my dog visited my blog! without a doubt, i’ll give you at least a little taste of the pie. cute idea to make it for the au pair potluck – if they are all bringing something representative of their home country, then you’ll be doing the same. =) enjoy.